For the past 25 years, Richard Zielinski has conducted orchestras, choruses and stage productions throughout Europe, Asia, and North America. Richard Zielinski (Dr. Z), Norman Philharmonic's artistic and music director, is known for his innovative programming and versatility as both an orchestral and choral conductor. He is a passionate and compelling communicator, with an extensive knowledge of classical and contemporary repertoire. A champion of new music, Zielinski has worked with numerous composers and regularly leads the Norman Philharmonic in performances of contemporary works from composers like Libby Larsen, John Mackey, and Michael Daugherty. 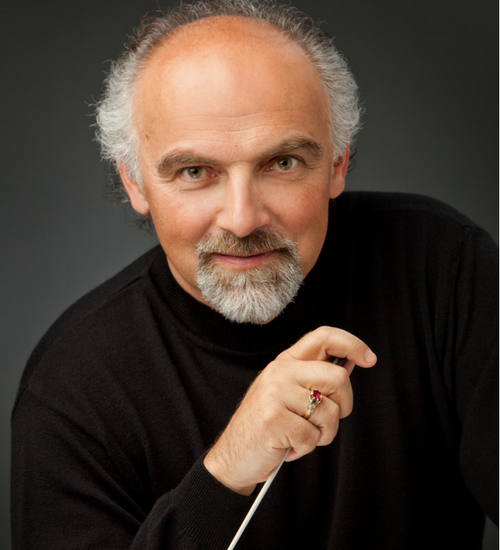 He has conducted extensively both in the United States and abroad including The Florida Orchestra, Tampa Bay Symphony Orchestra, Classical Music Festival (Austria), Naples Philharmonic, Elgin Symphony, Danville Symphony Orchestra, and Szczecin Philharmonic Orchestra (Poland), and Acappella Istro Politana Chamber Orchestra (Slovakia). His professional vocal ensemble, the Richard Zielinski Singers, has also recorded works by Norman Dello Joio, Libby Larsen, Stephen Paulus, Eleanor Daley, David Del Tredici, Alice Parker, and Eric Whitacre among others. Richard has also premiered performances of Die Schöpfung, Die Jahreszieten and Carmina Burana choreographed for ballet as well as numerous stage productions like Ragtime (2016), Coram Boy (2012), and The Music of Andrew Lloyd Webber (2011). This year, Richard Zielinski begins his tenth year as artistic director and conductor of the 42nd-year-old Classical Music Festival Eisenstädter Sommerakademie and will continue to serve as conductor for the Norman Philharmonic and on the music faculty at the University of Oklahoma. He has conducted extensively both in the United States and abroad including The Florida Orchestra, Tampa Bay Symphony Orchestra, Naples Philharmonic, Elgin Symphony, Danville Symphony Orchestra, and Poland’s Szczecin Philaharmonic Orchestra. He has also held several positions abroad including artistic director and conductor for Chor Akademicki Politechniki Szczecinskiej, In Terra Pax, and the International Festival of Choral Song in Poland. Throughout his career, Richard Zielinski has devoted time to working with students and young artists. In addition to creating and leading outreach programs with the Norman Philharmonic, he also has worked with students at numerous music festivals in the United States and abroad.